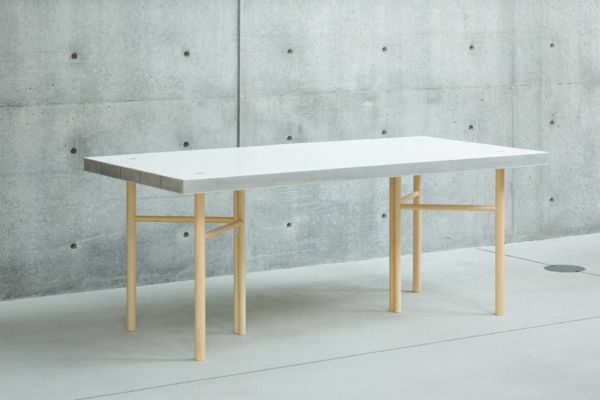 Tokyo-based designer Schemata Architects has added another furniture design to their collection – the Sponge Table. The tabletop made of sponge has fine wooden material covering it beautifully and the wooden legs of the table are easily detachable.Designed for 21_21 Design Site Museum in Tokyo, the product will be a part of the exhibition ZAKKA: goods and things. 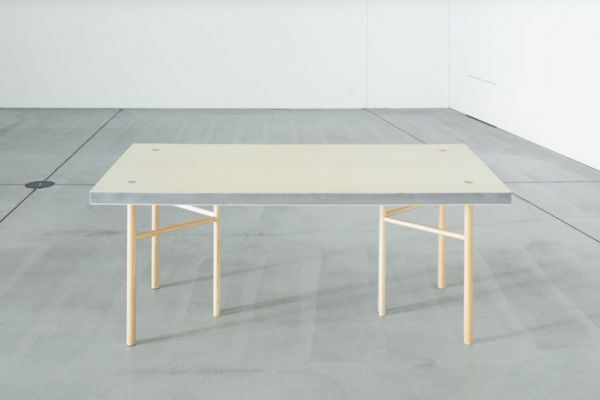 The table has a minimal structure that allows it to fit into the gallery space or wherever desired, as it utilizes the space efficiently. Moreover, the sponge top is easy to fold and you can even use it as a wall partition. If there is a requirement to have a room partition, you need to detach the wooden legs first, and thenlift the top and place it upright with the help of two block stands available along with the table. 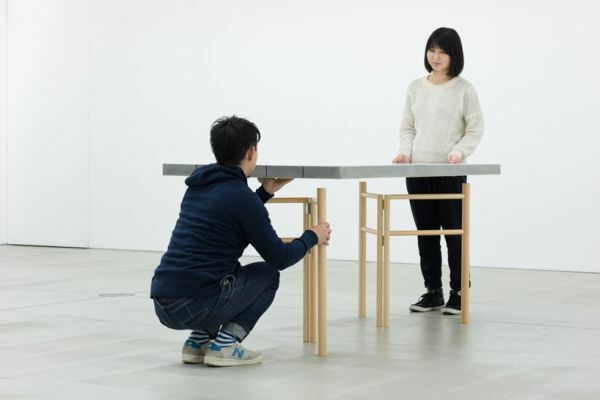 Thus, the table is easy to carry around because of the portable and collapsible nature. The lightweight quality makes it easy for anyone to shift the table from one place to another without seeking help. The idea to fix sponge between the wood veneers has added to the product’s uniqueness. One can find natural wood on one side of the table, whereas the other side has a fine white finish. This product not only adds to the home decor, but also provides a practical furniture piece for any modern day home. The sponge table is a furniture design project consisting of two detachable portions. These detachable units ensure easy transport because of its lightweight. In addition to this, the collapsible and portable nature of the table makes it easy to fold and transform to a wall or a room separator.